Castle Street, the haven of modern food and drink only a stone’s throw away from Liverpool ONE’s amazing shopping centre. Not so long ago, Castle Street, the home of Liverpool’s law firms and other service businesses, was a quiet street without a great deal going on. 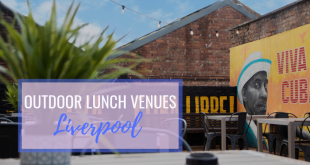 But over the past few years, the social hub of Liverpool’s business district has really come alive, with plenty of lunch, dinner and nightlife destinations that have a lot to offer whether you’re visiting on business or simply as a tourist. There’s something for everyone. Want amazing sushi? Then there’s Izakaya. Pizza lovers can grab a (massive) slice at Santa Maluco, while those who like their cheese, wine and cured meats can opt for a table at Veeno. It’s perhaps no surprise, then, that Castle Street has become the preferred hangout for celebrities visiting Liverpool. Abbey Clancy has been spotted emerging from top Italian restaurant San Carlo, while Liverpool Football Club legends Steven Gerrard and Jamie Carragher are said to be frequent visitors. J.McGuffie & Co (known locally as McGuffie’s) and its charming exterior are often in demand as a film set. It doubled as an Eastern European greengrocer in Fast & Furious 6, and Vin Diesel asked that it be turned back into a bar at the end of filming so the cast and crew – himself included – could enjoy a drink. Tony Burns, former owner of McGuffie’s, now operates Pinch – a cute tapas and drinks outlet just a few metres away from his former business. 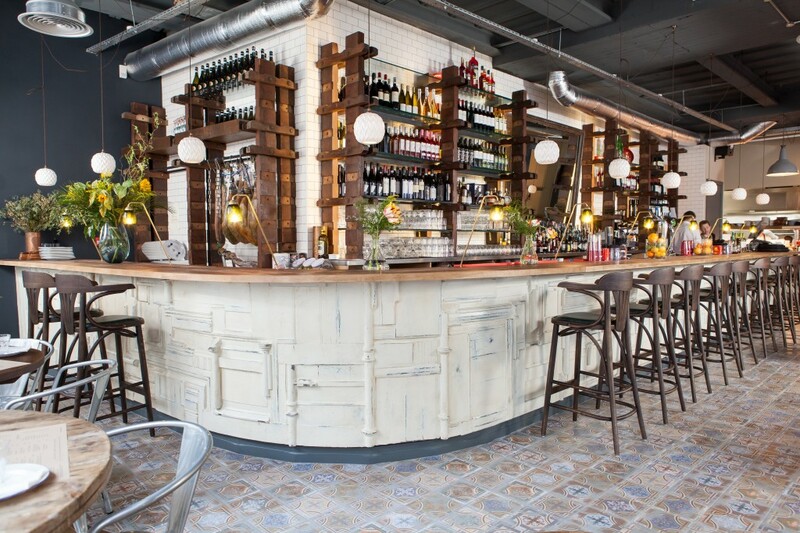 Since Pinch opened it has enjoyed visits from celebrity chef Simon Rimmer and EastEnders star Gillian Taylforth. The relaxed, no fuss, no trouble atmosphere that makes Castle Street such a welcoming and relaxed place means it’s somewhere celebrities can go and not get any hassle. Charles Dance – the actor who plays sinister Tywin Lannister in Game of Thrones – was spotted in McGuffie’s reading his morning paper. 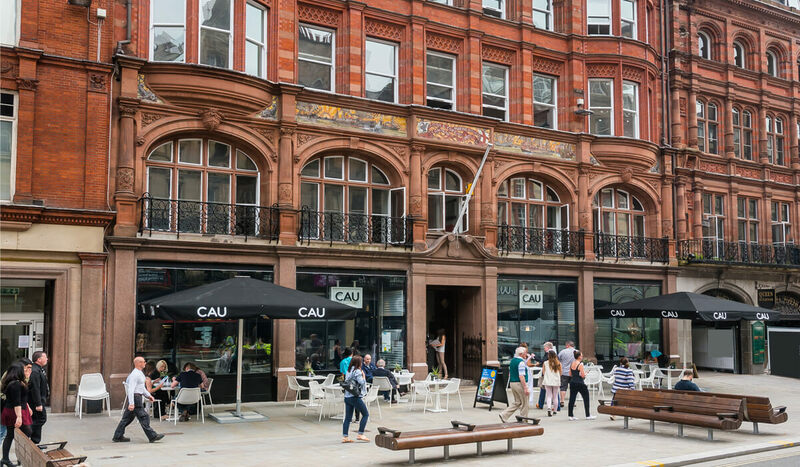 Castle Street’s boom has helped develop an after-work networking culture in Liverpool city centre, and it’s also meant that bars and restaurants are kept busy throughout the week. But don’t worry – there’s always a table going somewhere, though if you want to eat at the likes of Bacaro during the weekend it’s wise to book at least a few days in advance. One of the more recent additions to Castle Street is Neighbourhood, which has quickly become a nightlife powerhouse. Its neon signage and lively atmosphere attract Liverpool’s most glamorous ladies, and it’s definitely somewhere to try if you want a spendy night out. Again, if you want to be guaranteed a seat, it can be best to book in advance. While you’re there, there’s every chance you’ll spot a famous face. Coleen Rooney is a fan of the bar, while Clive Owen and James Bond actor Daniel Craig enjoyed a drink there after watching Liverpool play at Anfield. Recently, the club hosted a party for Real Madrid legends, featuring Roberto Carlos and Luis Figo. And fans of Hollyoaks are in luck: the soap’s stars have been spotted there too. For those looking to party and dine elsewhere, you can get a fabulous healthy lunch at Cau, while those who aren’t afraid of carbs can get takeaway (or sit-in) pasta at Pasta Cosa. In many ways, the resurgence of Castle Street isn’t too much of a shock. It’s somewhere you can go if you love a party atmosphere but also enjoy a bit of quiet. The one-way flow of traffic means it feels safer and more pedestrian friendly, and a little bit more continental than other areas of the city – especially in the summer when restaurants dust off their outdoor tables. 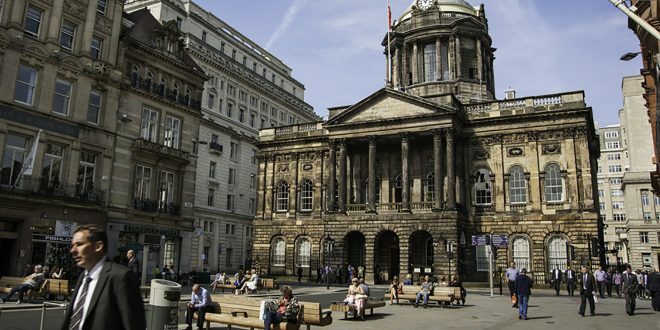 At just a three-minute walk from the Signature Living Hotel on Mathew Street, a five-minute walk from the Shankly Hotel on Victoria Street, and a two-minute jaunt from 30 James Street – Home of the Titanic, Castle Street is well worth checking out. Castle Street has a wide variety of bars and restaurants to choose from, and we have recommended our top 5 spots. Inspired by the back streets of Venice, Bacaro is a small plates joint that offers pizzettes, risottos and small plates of perfection. This superb restaurant delivers excellent service, drinks and always brings exciting new dishes to the table. With a bespoke range of cocktails to choose from, there is also a wide variety of wines and spirits that are uniquely selected from small producers chosen to enhance dishes. After a long day in the office why not quench your thirst with a glass of wine and soak up the relaxing ambiance. A charming new addition to Castle Street that offers an all-day brasserie style menu, suitable for everybody whatever the time of day. 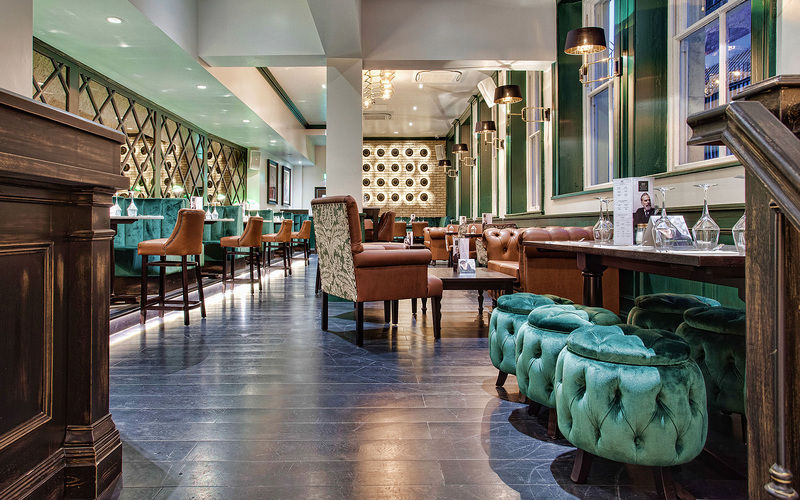 This vibrant, yet relaxed space offers brunch, lunch, dinner, cocktails so why not indulge in a mouth-watering brunch with bottomless Bloody Mary’s, seasonal cocktails or prosecco every Saturday and Sunday. Or you can party the night away at Liverpool’s most talked about venue with dancing, live DJ’s, live musicians and performers that make every night truly unforgettable. 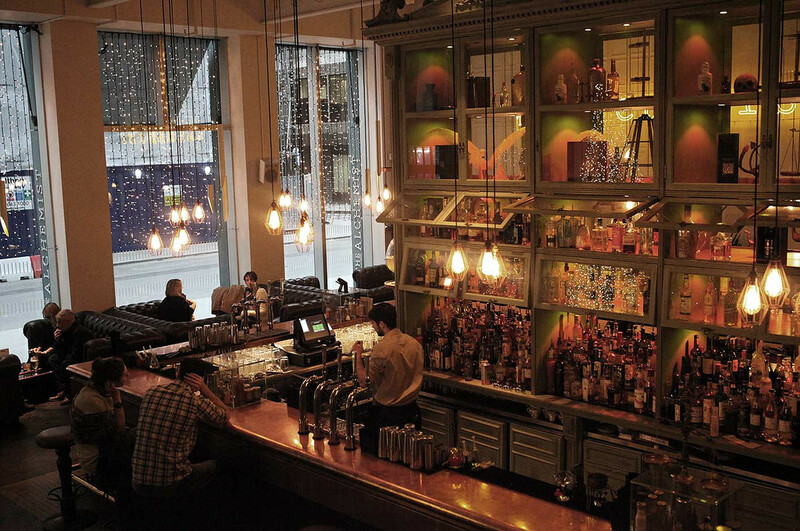 This casual, welcoming vibe meets the hustle and bustle of Liverpool’s city centre. This pizza restaurant is a popular independent eatery that has brought lots of Brazilian flare with a twist of Italian authenticity to Castle Street. However, this is not your traditional pizza parlour. and are piled high with fresh and delicious toppings, so make sure you wear your oversized pants when you visit. If you don’t fancy tucking into the never-ending selection, opt for one of Santa Maluco’s classics from the menu, you won’t be disappointed. They’re the masters in the dark molecular of mixology and demons in the kitchen. Why not visit their coppercased wonderland and let one of their mixologist bewitch you with their dazzling bartending skills as they make you the perfect concoction. With perfectly executed cocktails, they also have a delicious food menu that mixes up things up with a selection of naughty nibbles and moreish main dishes to suit all. The Alchemist sets the tone for a decidedly unconventional bar and restaurant with a charged and dynamic atmosphere. We hope you’ve enjoyed our guide to Castle Street and the best places to eat and drink around this area. 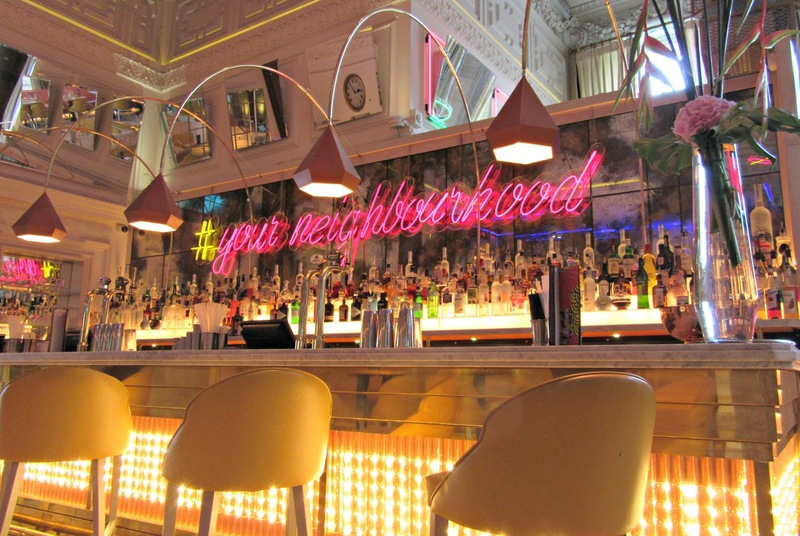 If you’re still stuck for ideas, check out our guide to the best cocktail bars in Liverpool.